Did you know that when you register a domain name, the registration details are available to anyone who searches a public WHOIS database? Your personal information becomes publicly available, including your name, address, email and phone number. This can be used by spammers, marketers or anyone. We offer an identity protection service called ‘Domain Privacy’ whereby we replace your personal contact details with our own privacy service information thus keeping your domain registration and contact details private. How much does the Domain Privacy service cost? 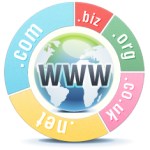 For .UK domain names there is no charge as we use the UK Registry (Nominet) Individual WHOIS Opt-out service. For all other domain names there is an annual Domain Privacy charge of £3.95+VAT. What about emails sent to the domain contact? We assign a unique email address for your domain contact email. Any email sent to this address is forwarded to the registration email address so that you will not miss out on any genuine enquiries about your domain. How do I purchase Domain Privacy? When registering your domain name you will be offered the Domain Privacy service automatically. At this point your can either accept or decline the Domain Privacy offer. 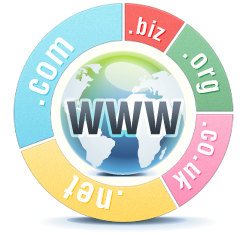 For .UK domain names you can activate the service at any time from within your Domain Control Panel. We recommend you order Domain Privacy with your domain name at time of registration to prevent your details becoming public.